Russia can return the temporarily occupied Crimea together with Ukrainian military equipment. 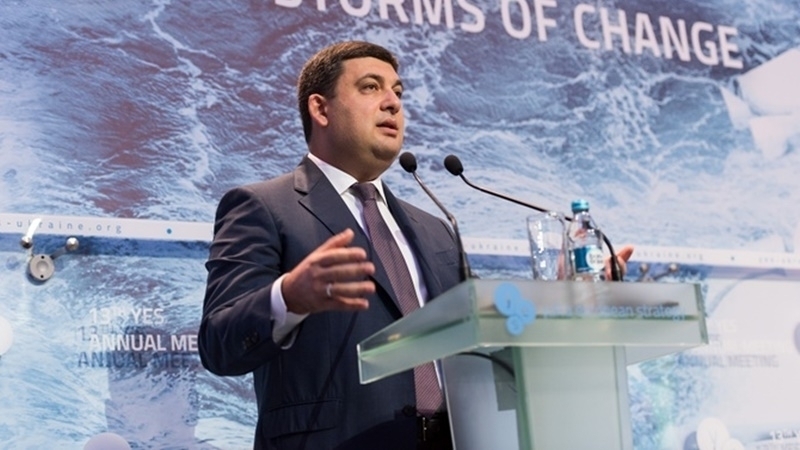 Prime Minister of Ukraine Volodymir Groysman put forward a corresponding proposal during a trip to the Donetsk region, commenting on Putin's statement on Russia's readiness to transfer to Ukraine military ships and aircraft from the occupied Crimea. “Counter offer to the president of the Russian Federation - to return the Crimea together with the fleet. We are ready to accept in the near future,” he said. Earlier, on January 11, Putin said that Russia was ready to return Ukraine its military equipment from the occupied Crimea. According to the head of the Russian Federation, all Ukrainian military equipment - "dozens of ships and dozens of combat aircraft" - was in a deplorable state. However, Putin hastened to add that the Russian Federation is not to blame for this.